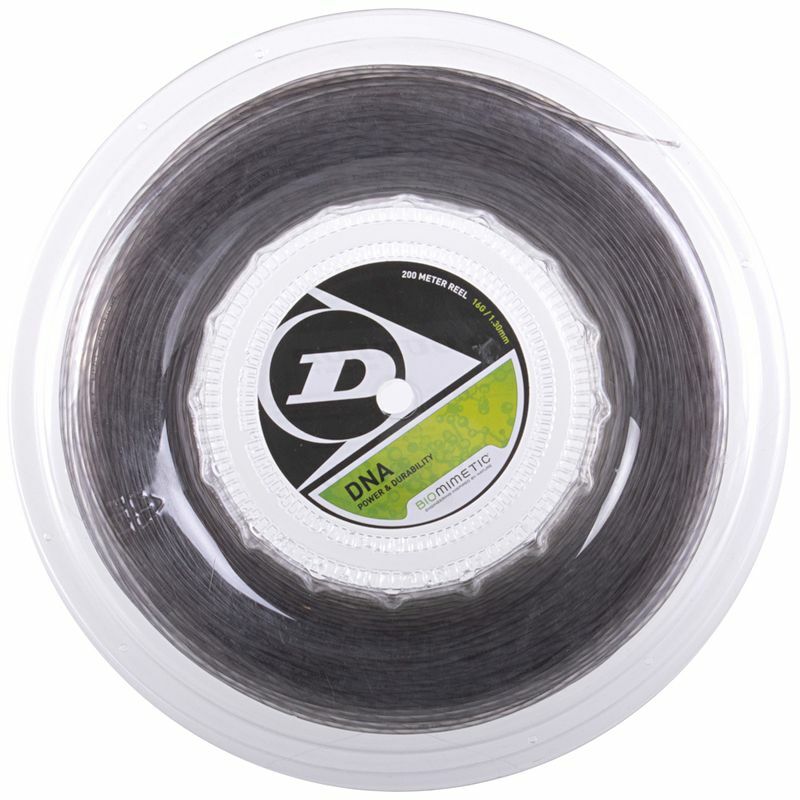 The Dunlop DNA 1.30mm tennis string - 200m reel enables you to re-string many rackets with a premium multi-filament string that provides excellent power and enhanced durability. The DNA string has a construction featuring a unique PBT fibre coil that spirals round the central core improving power and durability whilst not compromising on comfort and feel. The string has a 16 (1.30mm) gauge and is supplied in a 200m (656ft) reel. for submitting product review about Dunlop DNA 1.30mm Tennis String - 200m Reel.